Superstar Chefs Download. Free download Superstar Chefs game. Help the Superstar Chefs find the stolen recipes or they will get in big trouble! 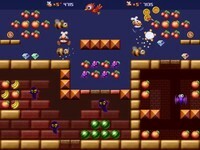 Addictive jump 'n' run action for 1 or 2 players simultaneously. 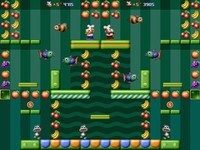 This Superstar Chefs game features 64 levels of varied scenery, try to beat them all alone or together with a friend. If you want to, you can even compete against your friend in a special duel mode where the best of 7 levels wins. 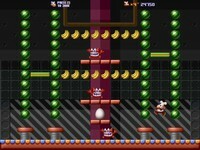 If you like retro style gameplay such as in Bomb Jack, Bubble Bobble & Mario Bros then be sure to check this one out!